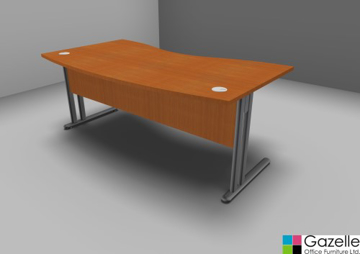 Our Essentiel range of furniture has a wide range of options to suit any decor, from an optional leg cover, modesty panel to beam sytems. 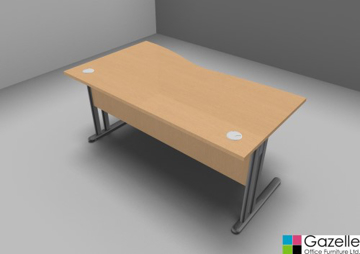 The Essentiel range also comes with an extensive range of matching storage, reception furniture, meeting/boardroom furniture and a whole host of other accessories. 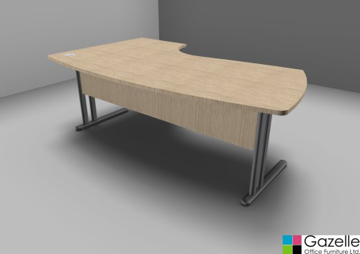 Unlike the contract range of furniture this can be supplied in 9 different mfc finishes and 2 different leg colours so there is sure to be a colour for you. 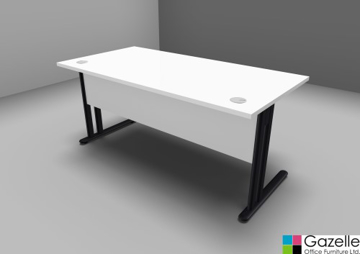 The range includes corner, straight and wave desks. Browse through our current stock below or drop in to our showroom in Bristol.